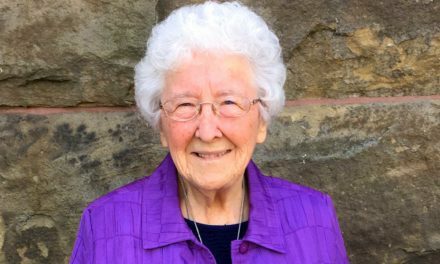 First: After 33 years, the 83-year-old co-founder of Serenity Renewal for Families still spends 40 hours a week working with addicts and their families. 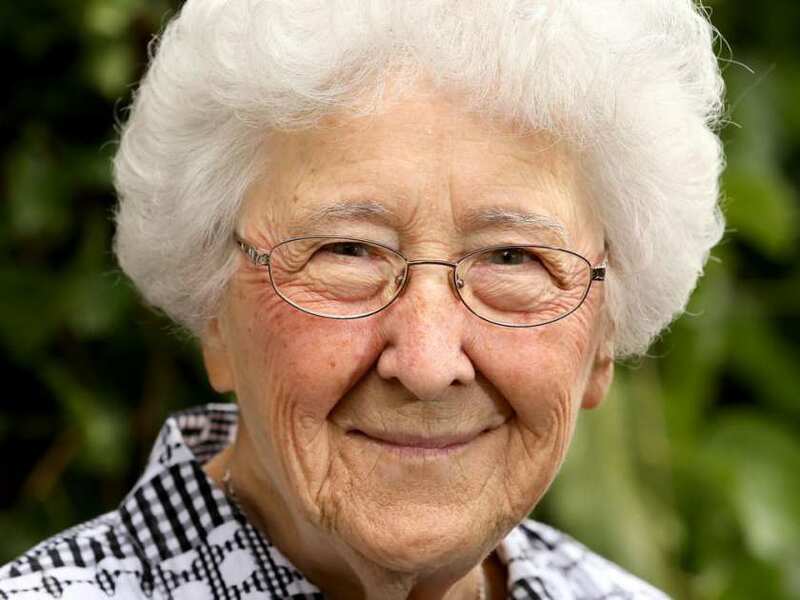 Second: People always know when she is coming because the diminutive nun is singing popular tunes from her youth — Casey Would Waltz With a Strawberry Blonde or Have I Told You Lately That I Love You? Third: By day, Dunn “drowns in people’s honesty.” After work, she escapes with a good murder mystery. On Saturday she will be honoured at Recovery Day Ottawa, part of a North America-wide movements to celebrate recovery from addiction. This year’s event at city hall is expected to draw representatives from 65 agencies, people in recovery and their friends and families. 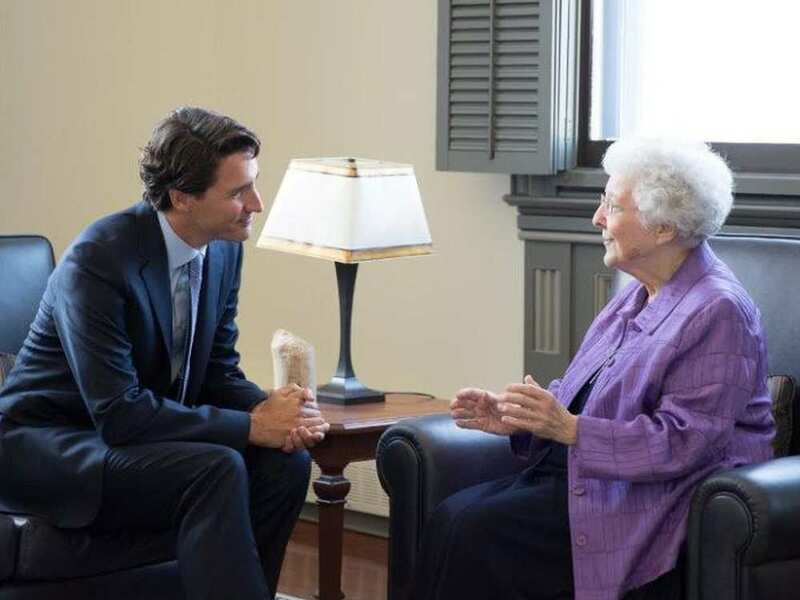 Sister Louise Dunn meets with PM Justin Trudeau on July 2016. She sought training as an addictions counsellor at Hazelden in Minnesota, which has since become known as Hazelden Betty Ford. 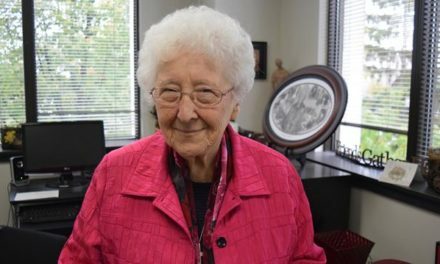 In 1983, she opened Serenity Renewal with fellow Hazelden graduate Alexa Smith, who retired about three years ago. The non-denominational program is based on Alcoholics Anonymous’ 12-step program. The second step is coming to believe “that a power greater than ourselves could restore us to sanity.” But that power can be whatever that person believes it to be, said Dunn. Those who work with Dunn call her insightful and instinctive, with an unerring ability to zero in on where a client is at and whether they are ready to do what is necessary to help themselves. Many has been the time that a wife has come into the centre asking for an “intervention” for an alcoholic husband, said Wally Clare, a fellow counsellor and the CEO of Serenity Renewal. “You’re here. We just did it,” Dunn would reply. “And 90 days later, the husband would come in and say, ‘I want to talk to that G-D nun who’s ruining my life.’ He would go in and talk to her, and then he would leave, meek as a mouse, with a bus ticket to a treatment centre in his hand. Sometimes she would help him pack his bags,” Clare said. Dunn still does about 18 to 20 counselling sessions every week and has no intention of reducing her workload. Dunn believes that chemical dependency is a disease, not a moral choice. But she also believes that people can choose whether or not to use alcohol or drugs. “The thing I’ve always believed is that I’m not responsible for change. But I believe that, when people come, they are searching to something in terms of behavioural change,” she said.